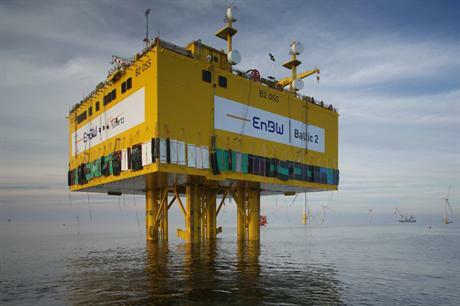 GERMANY: Investment firm Macquarie has acquired a 49.89% stake in the 288MW Baltic 2 offshore project from EnBW for €720million. In a statement, Macquarie said the deal would be financed through a combination of equity from Macquarie Capital and debt financing from a number of commercial banks. According to Macquarie, financial closure on the project is set for June. Construction is currently ongoing with 34 Siemens 3.6MW turbines and the substation already installed. The first power is set to be generated this month, with final project completion due by the spring. The deal marks Macquarie's first major investment in an offshore project, despite a number of onshore investments. Before now, the company's main offshore incursion has been in as part of the Blue Transmission consortium that owns and operates the transmission link for Sheringham Shoal. Speaking about the deal, Mark Dooley, Macquarie Capital head of infrastructure, utilities and renewables for Europe, said: "Macquarie's strong balance sheet has allowed us to actively identify and invest in projects across Europe. "We are particularly excited about this transaction as it signifies what we hope will be the first of many investments in offshore wind. Given the strong regulatory renewable energy regime, we see Germany as a key market for this type of investment going forward."